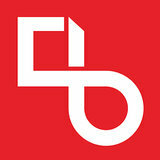 This is the latest installment of our Designing Women series. Previously, we profiled Ellen Manderfield. Long before Philippe Starck’s Ghost chair became de rigueur for trendy restaurant seating, Kartell was known for manufacturing one humble item—a ski rack for automobiles. 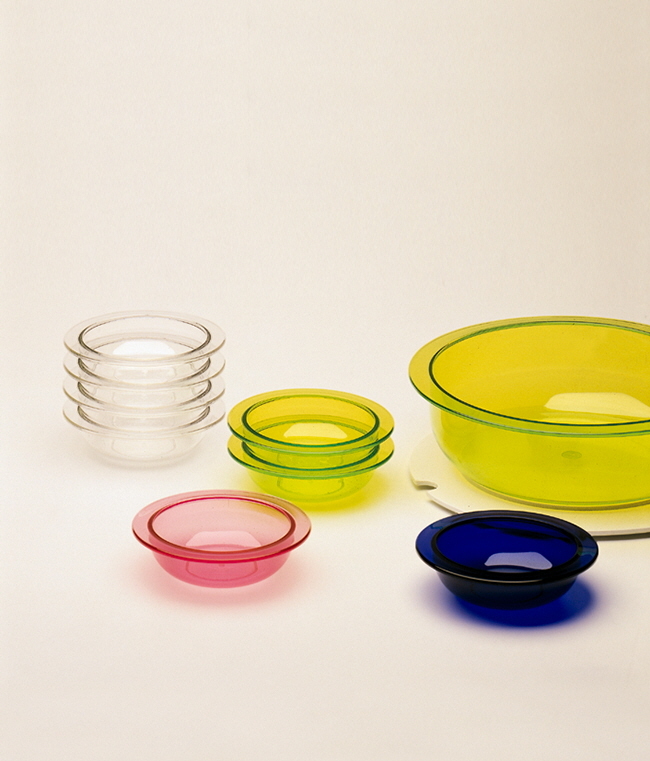 From this first object, released in 1949, Giulio Castelli and Anna Castelli Ferrieri built a plastics empire that expanded into housewares, lighting and furniture, all based on their vision of plastic as a new platform for well-designed, mass-produced, low-cost products. 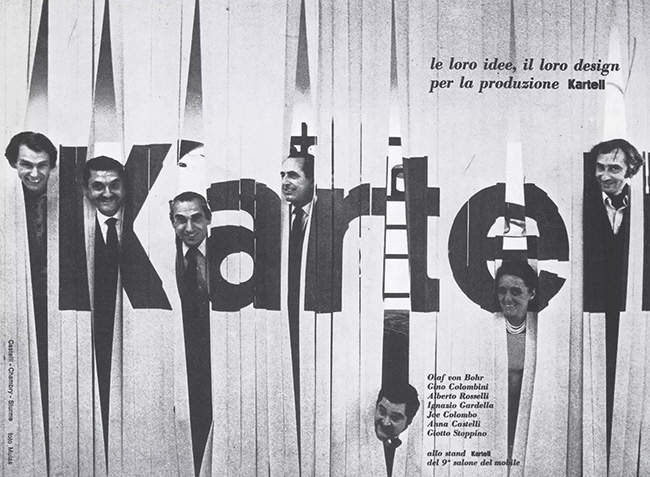 Giulio and Anna were married for six years before founding Kartell, and their backgrounds—his as a chemical engineer and hers as an architect—were a perfect match for a company that wed creative design to innovative product engineering. Anna began her architecture education in 1938 at the Milan Polytechnic Institute, where she was one of only three women in her class. Here she was introduced to the ideas of the Bauhaus and the work of Italian Neo-Rationalist architect Franco Albini, embracing their modernist design language based on simplicity, functionality and rationality. 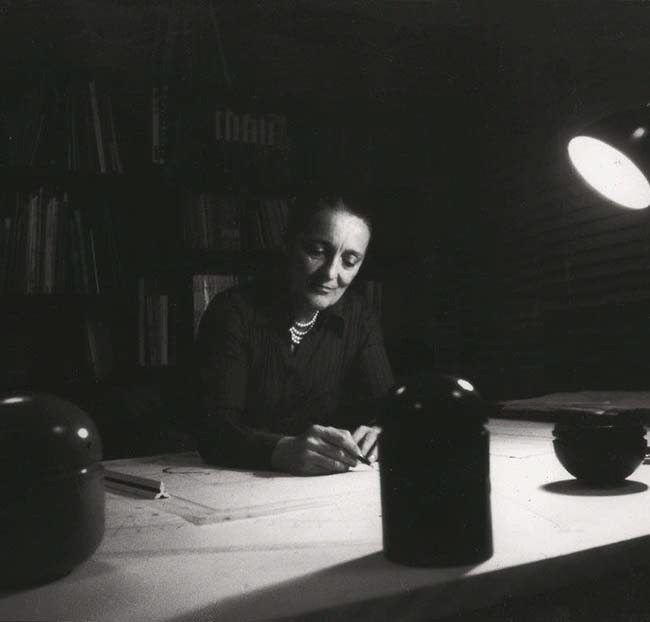 After graduating in 1943, Anna took on a number of architectural commissions, establishing her independent practice in 1946. Three years later, she and Giulio founded Kartell, but Anna continued to run her architecture office; it wasn’t until 1964 that she designed her first product for Kartell, a table for the residence attached to the Hotel Gritti in Venice. 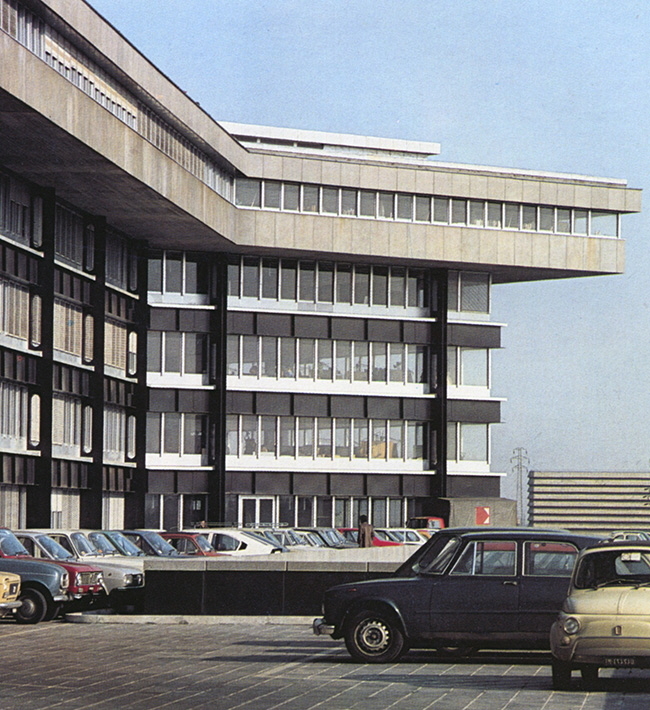 From 1959 until 1973 she and architect Ignazio Gardella established a joint practice and collaborated on two of her most notable architectural projects, the 1966 design for Kartell’s seven-acre industrial facilities outside of Milan, and the 1969 Alfa Romeo technical offices in Arese, Italy. Castelli Ferrieri’s first design for Kartell was a round dining table made of polyester resin reinforced with glass fiber. The table was designed in collaboration with Ignazio Gardella for a residence attached to the Hotel Gritti in Venice. 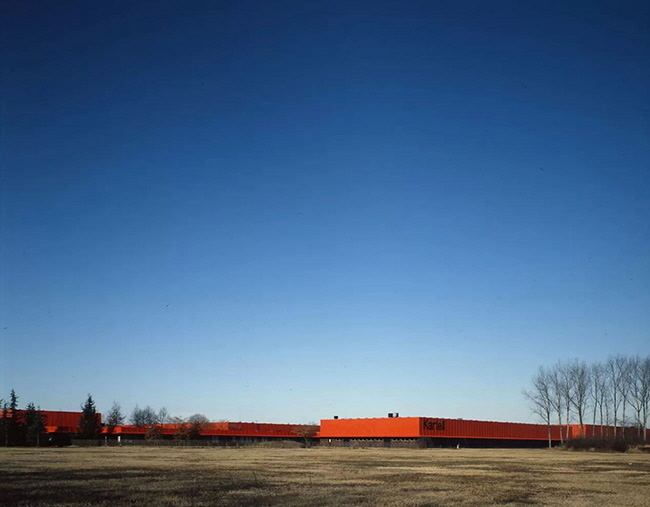 Kartell’s industrial facilities, designed by Castelli Ferrieri and Gardella; the design of the blocky red buildings is echoed in many of her later product designs. Although Anna’s architectural work spans more than 50 projects, her most lauded design remains the Componibili for Kartell, a modular, stackable storage unit made of injection-molded ABS. In continuous production since 1967, it is still one of Kartell’s best sellers and is frequently credited with ushering in a new paradigm of modern furniture design, one that capitalized on the latest technology of the 1960s and the era’s prevailing youthfulness and relaxed attitudes. 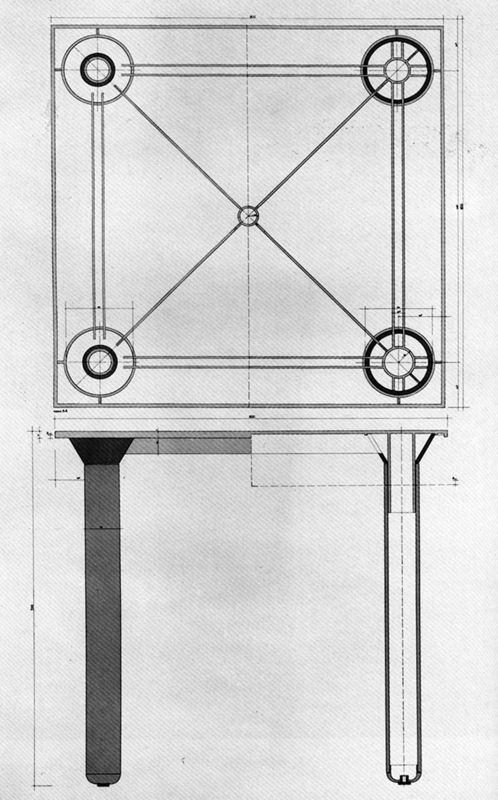 The Componibili came in a rainbow of colors, in square or round shapes, with wheels or without, and could function as a stool, a nightstand or a storage container. Simply put, it looked like the future. 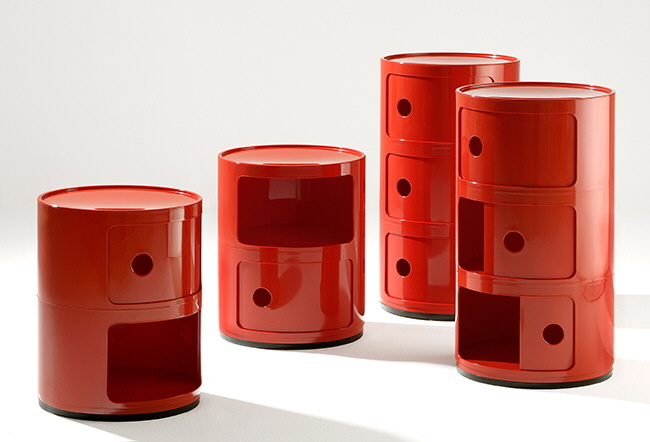 The square Componibili storage system from 1967 was one of the first Kartell products to use ABS, a new material at the time. 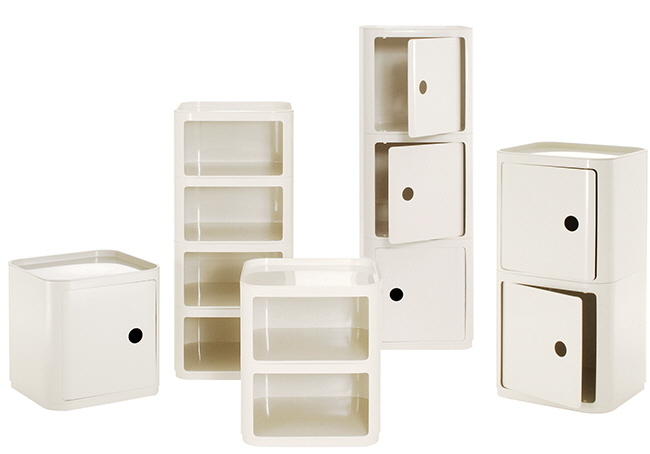 The different units can be stacked without using tools by nesting the components on top of one another. 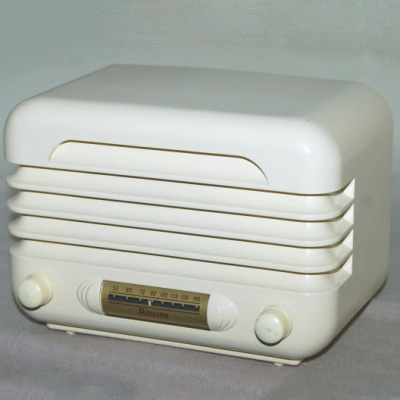 Castelli Ferrieri followed the square Componibili with a cylindrical version in 1969; both versions remain in production today. 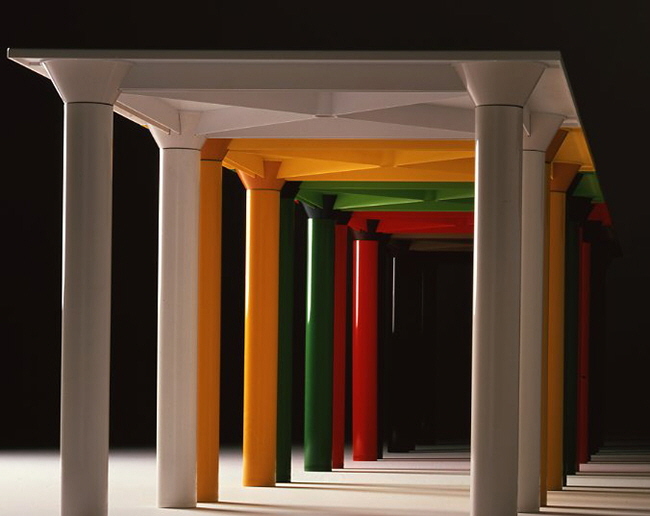 Anna’s forward-thinking designs, and her guidance as Kartell’s art director from 1976 to 1987, helped set the tone for the company’s furniture business and gave it a highly distinctive identity based on geometric shapes, primary colors and high-gloss finishes. 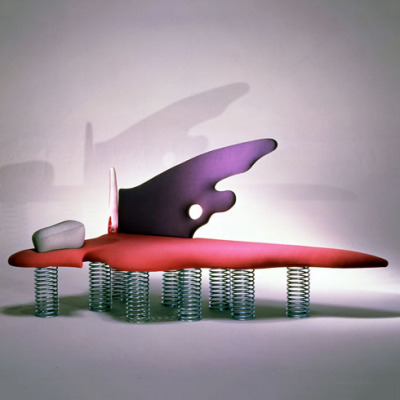 Working with designers like Richard Sapper, Joe Colombo and Gae Aulenti, she advanced plastic as a viable option for furniture and product design, proving that it could be a strong, high-quality material that was economical, practical and even glamorous. 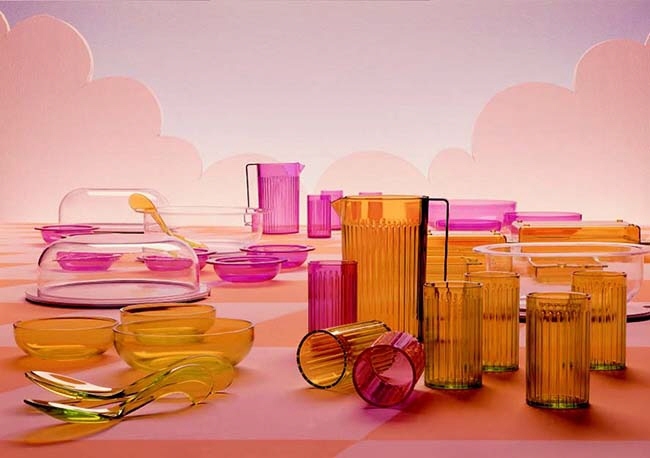 While some of the other Kartell designers during this period experimented with what Anna referred to as the “slightly rounded and awkward shapes that we generally call ‘plastic,’” she remained loyal to her modernist roots and created a series of tables, chairs and household goods that relied on straight lines, minimalist forms and rational shapes that could be stacked. 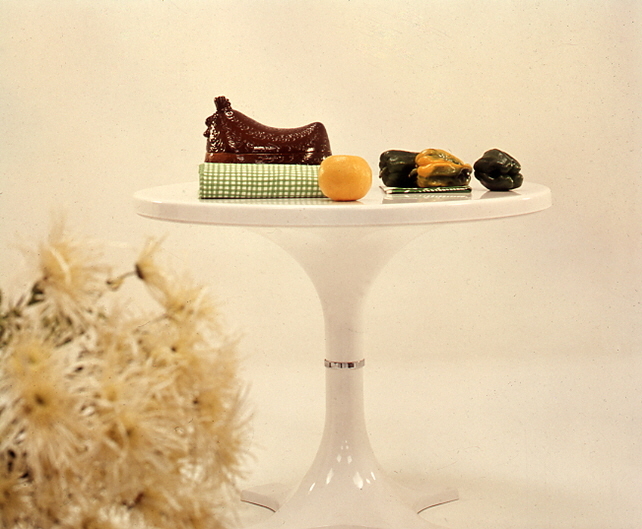 Through plastic she also acknowledged her influences; her stacking, three-legged Stool-table 4810 was an homage to Alvar Aalto’s iconic Stool 60. 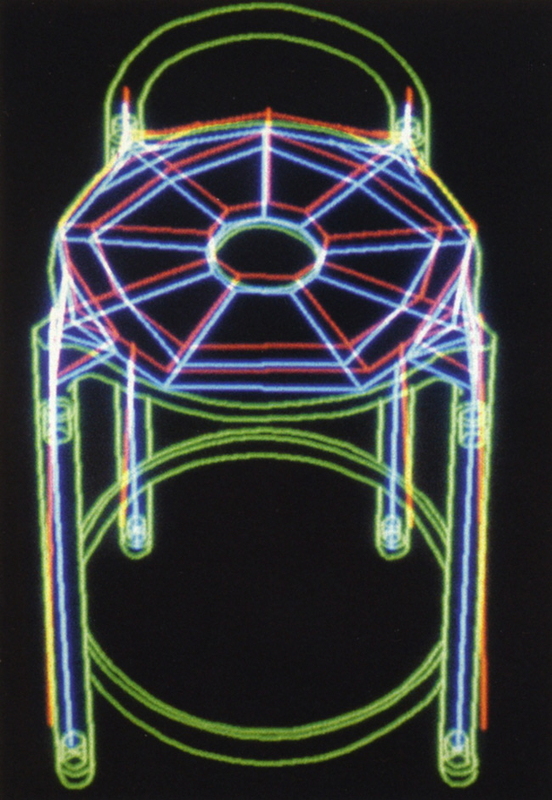 Anna also experimented with new material techniques and innovations, such as in a 1982 table that was the first to be made entirely of injection-molded plastic. 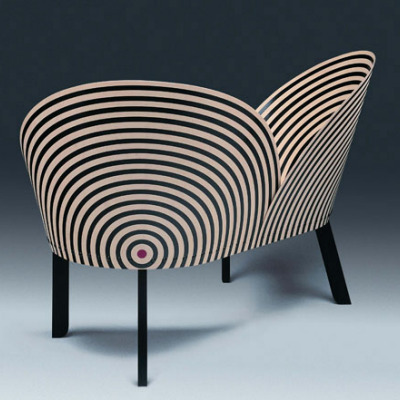 Later she would even try her hand at a Memphis-inspired design with a 1988 lounge chair that had a “marbleized” structure created by injecting a blend of plastic materials into the mold, a process that made each piece unique. 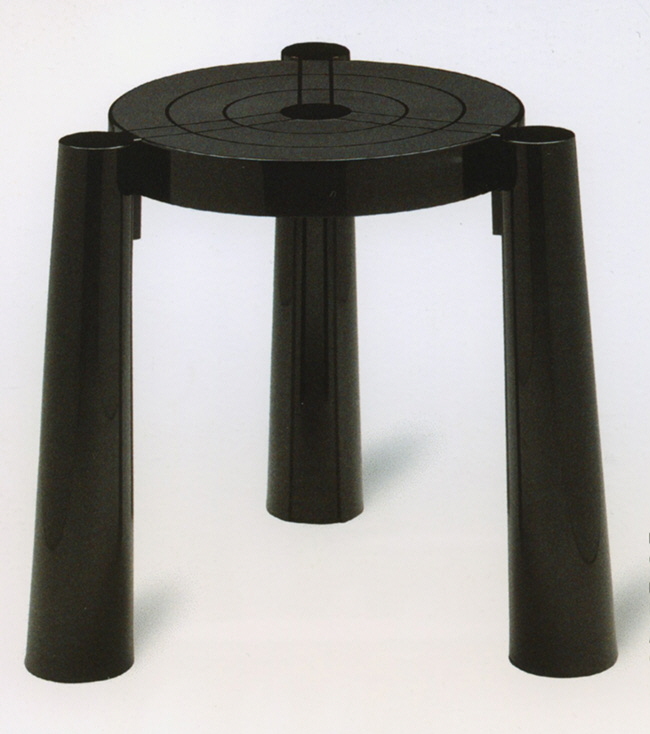 The polypropylene Stool-table 4810, “Tavello,” was Castelli Ferrieri's nod to Alvar Aalto's famous three-legged stool. 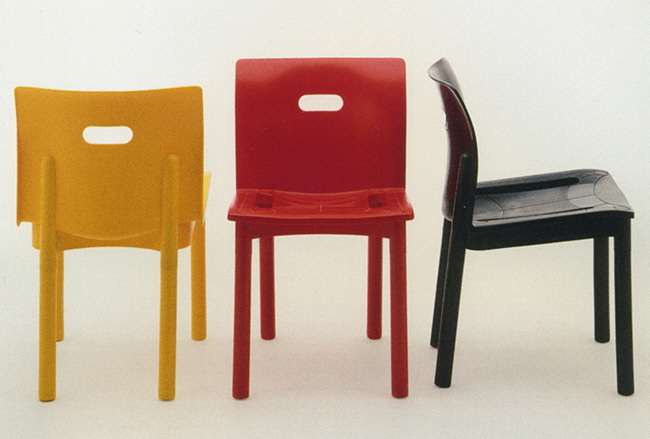 Anna and Giulio retired from Kartell in 1988 after selling the company to their son-in-law, Claudio Luti. 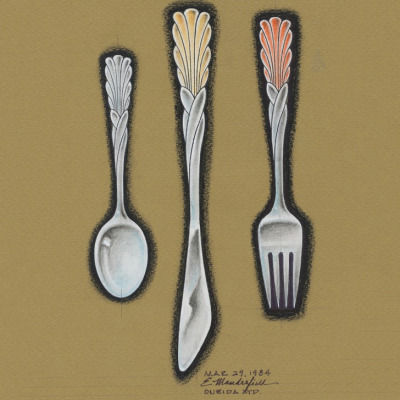 Even in her advanced years, Anna remained active in the design field, teaching at Milan’s Domus Academy from 1987 to 1992 and taking on various commissions in the ’90s, including a sofa design for Arflex, a seat for Matteo Grassi and flatware for Sambonet. Both Anna and Giulio lived long enough to see Kartell re-energized by a new generation of design collaborations with the likes of Patricia Urquiola, Philippe Starck and Ron Arad; Anna passed away in 2006 at age 87, followed just four months later by Giulio at age 86. 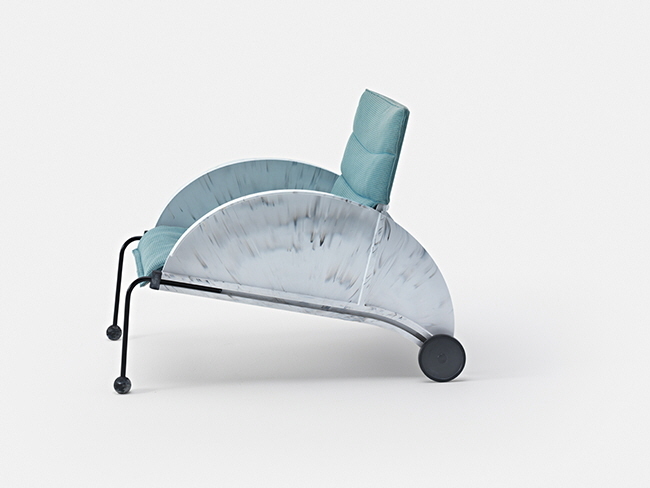 Lounge chair 4814, from 1988, was a playful departure from Castelli Ferrieri’s past use of rigid geometric shapes and primary colors. 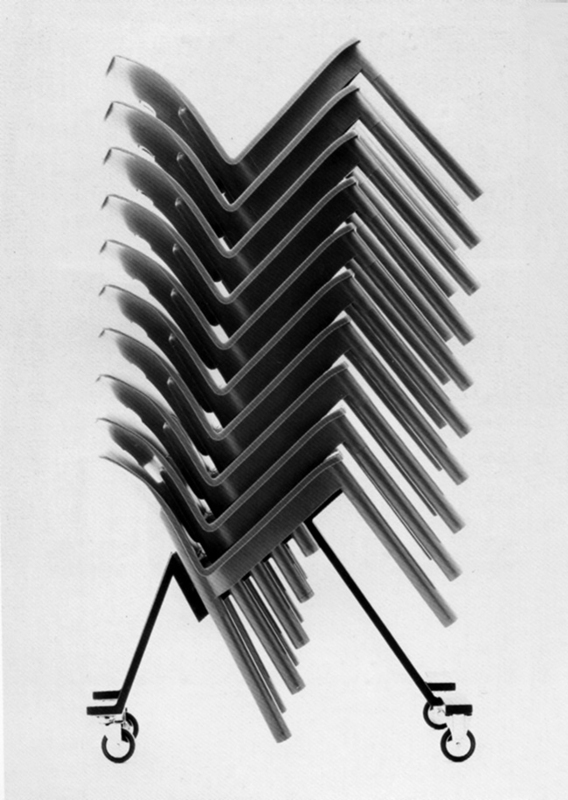 Table 4300, from 1982, was the first table produced where all the components were made of injection-molded ABS. 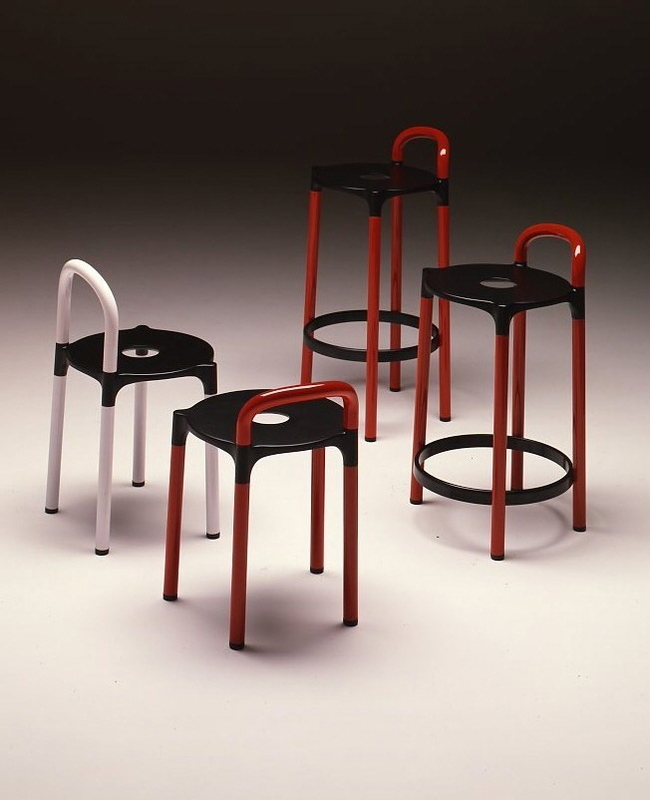 Castelli Ferrieri’s family of Stools 4822/4826 were best sellers and remained in production from 1979 to 1998; a cushion could be inserted in the hole of the seat. 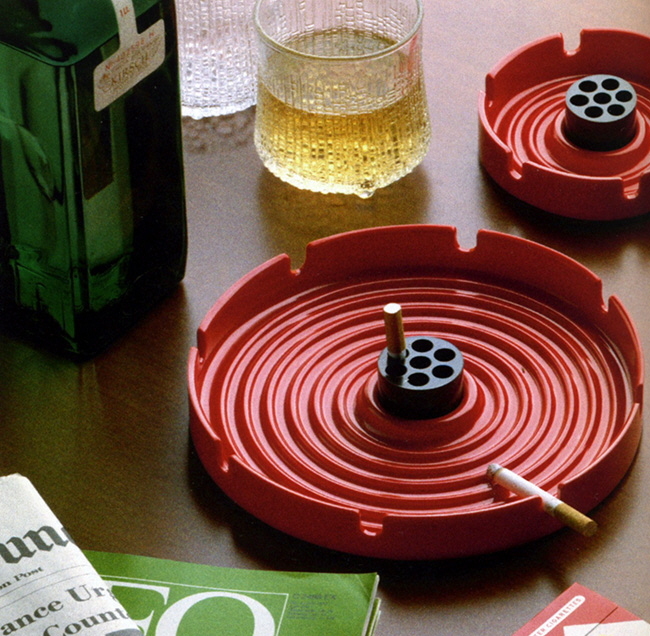 Table ashtray 4640 was designed by Castelli Ferrieri in 1979. Cigarettes were instantly extinguished by inserting them in one of the center holes.